What an out-of-this-world beauty! 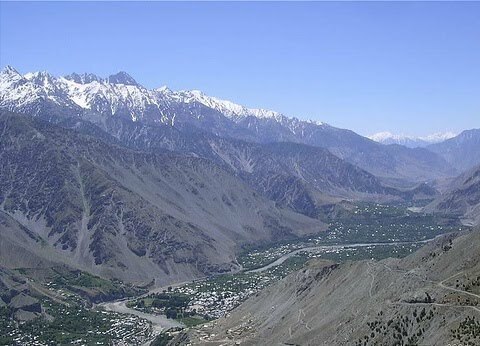 I am writing this on board a helicopter on the way from Chitral to Gilgit (for those who don’t know, these are the most beautiful places in the world situated in the North of Pakistan) and we are attempting to go to Gilgit at the moment. Snowcapped Hindukush Mountains! Breathtaking beauty! I feel like staying here forever! I mean, have you ever noticed that if we keep thinking negatively about something it surely happens. And my experience tells me – and so does all literature ever written on the subject of wealth creation – that if you think that you will get, do or be something, you will. And if you DON’T, you WON’T! You don’t believe this, do you? Seems like a lot of @#$%, right? One of the major attributes of successful people is optimism, goal centered & positive attitude. I know you will say you have heard this so many times… Norman Vincent Peale, et al! I am sure you would remember a kid from your neighborhood, who has always said that I will become this or that. Or someone who has been very passionate about what he/she wants to do in life. You later found out that they HAVE become what they had been dreaming about, in spite of the odds and the situation? People who have a vision of what they want do to in life, usually achieve it. And those who do not, never do! Look at people who have done well for themselves. They would always have a story to tell you. They have plans going forward. They dare to dream and usually realize them, or come much closer to them than one could ever dream of! Carl Sandburg said it so rightly: “Nothing happens… but first a dream!” Dreams, vision, goals are very important for progress, both financial and personal. Robert Kiyosaki – Rich Dad Poor Dad. I won’t take much of your time, but DO THINK about this before you go to sleep tonight! Have a remarkable life! Free Download of Napoleon Hill’s "Think & Grow Rich" – A Must Read! One Minute Read: Who’s Setting Your Agenda? Very True Nuruddin Sb! Successful people have only Success and loser has only lame excuses. In my opinion apart from skills there are few other things that make a person successful, just as you mentioned things like optimism & clear goals. What a beautiful advice! I appreciate your passion of inspiring people to dream, to be what they want to be. It’s a ‘worth sharing’ advice. Thanks once again for your kind words, Asma. I know we both share the same passion for inspiring & daring people to dream… Welcome to the club! No doubt, these are one of the most beautiful places on Earth, Danial. I am sure you have enjoyed them all your life! “Watch you thoughts, for they become words. PS: Apologies for not being able to reply earlier. I was traveling. And if you have to know…to Larkana and Sukkur. No comparison to Gilgit, Chitral and the Northern Areas of Pakistan! it is REALLY amazing. i liked it. You inspire us to do things that we wouldn’t dare to dream of, and remind us that failing or falling shouldn’t deter us in our path to our goals. Thank u for this blog!! Alice didnt say that, the cat did in alice in the wonderland. Interesting read. I agree with the substance of the material. I have personally experienced it and I know it works this way. That's why it is fundamentally necessary for us that we believe in Allah's will in everything. This is the best way to keep a positive attitude towards everything in life.